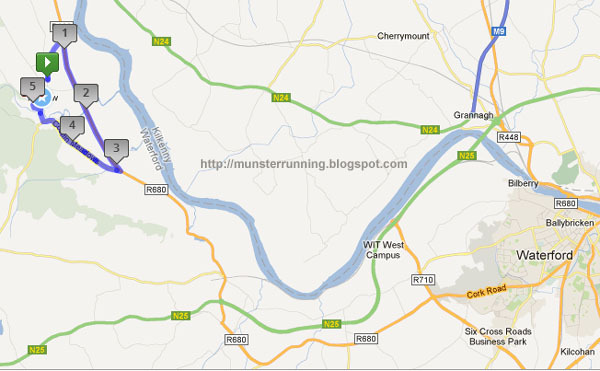 Directions.......If you are coming from the North / Carrick-on-Suir side then look out for the turn right. You then keep following this road into the town....keep going straight...and you'll end up at the roundabout near the registration point. This will take you to the roundabout which is located at the western side of the town. 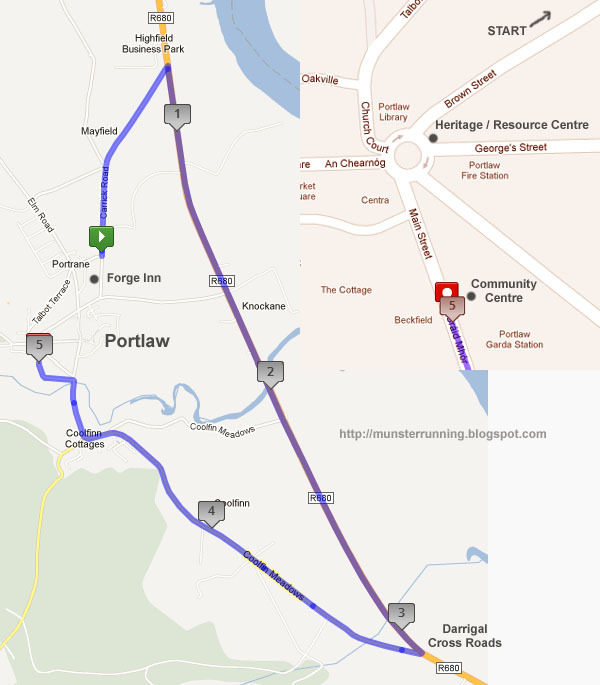 If you are coming from West Waterford then take the N25 east as far as Carroll's Cross Road, Ballyshonock........turn left at the old red/orange thatched cottage, which is signposted "L4022 Portlaw". The large QK Cold Storage plant is on the opposite side of the road. 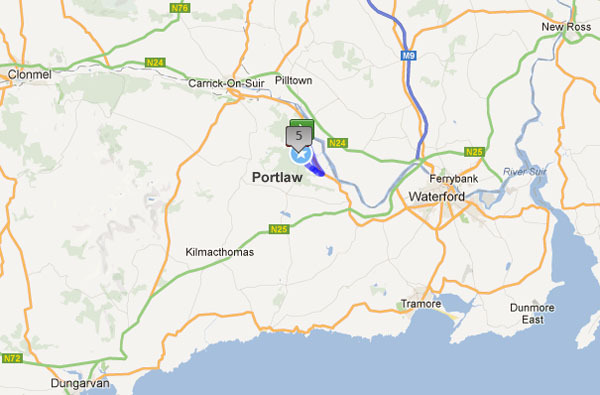 This road takes a shorter route to Portlaw. 1) Entries are usually be taken at the Heritage / Resource Centre which is located next to the roundabout. 2) The finish line is right outside the Community Centre, about 150 metres from the registration point. 3) Post race refreshments and prize giving are usually at the Forge Inn which is only about 600 metres away from the roundabout. Overall.......The first 3.4 miles of this race are probably as fast as they come. Make the most of it and build a small cushion. The hill before the 4 mile mark is easily the toughest part of the course but it doesn't last last. Lots of fast downhill running the last mile. Expect to post some good times on this course.